The following images are of a cross sections of Lilium, part of the Fruit & Flower Prepared Slide Kit. 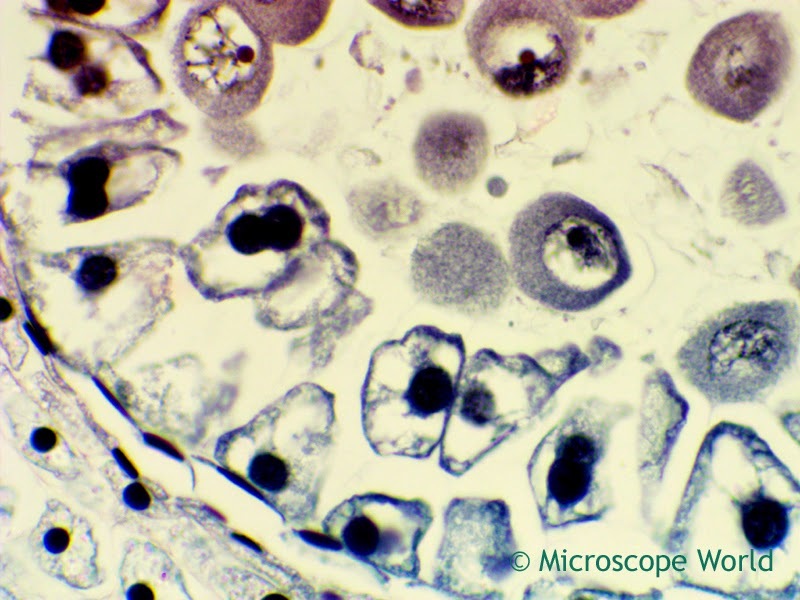 The microscopy images were captured using a Richter Optica U2 biological microscope along with the DCM3.1 microscope camera (3.2 megapixels). 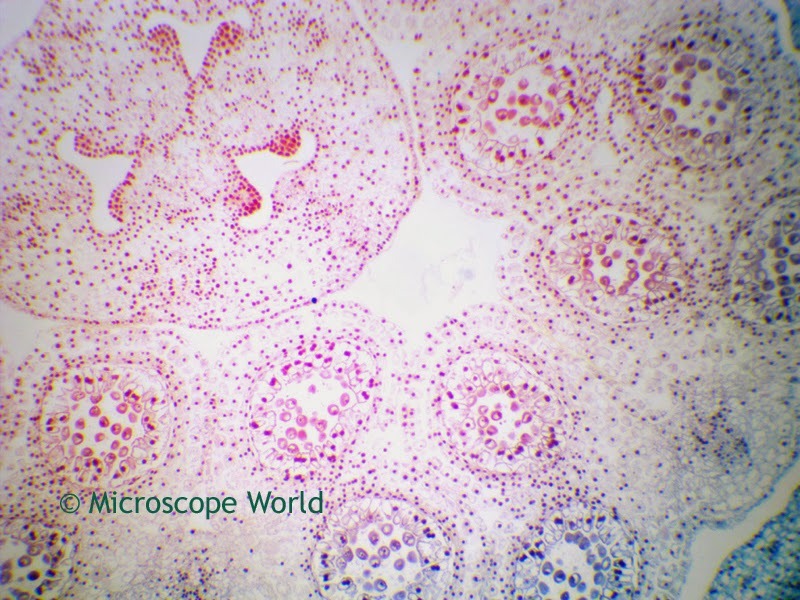 Lilium captured at 40x under the microscope. 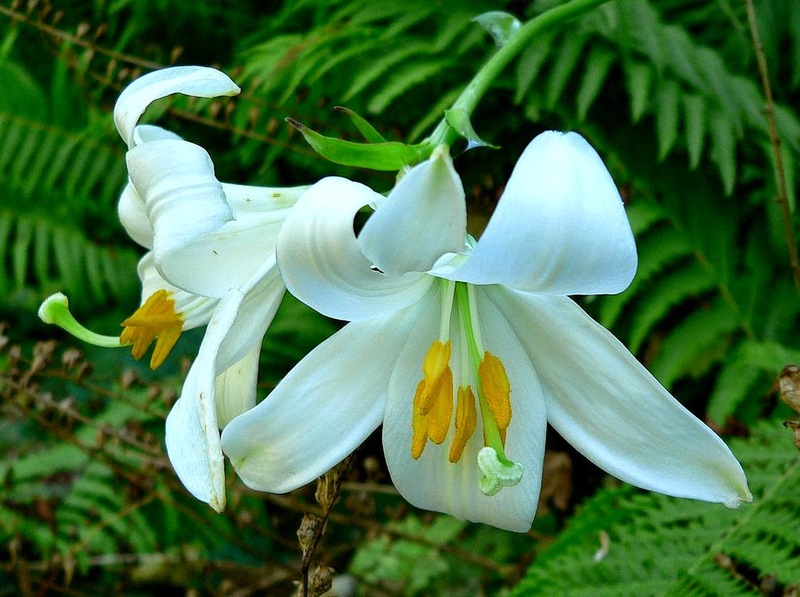 Notice in the image above the center looks to be shaped like a Lily! 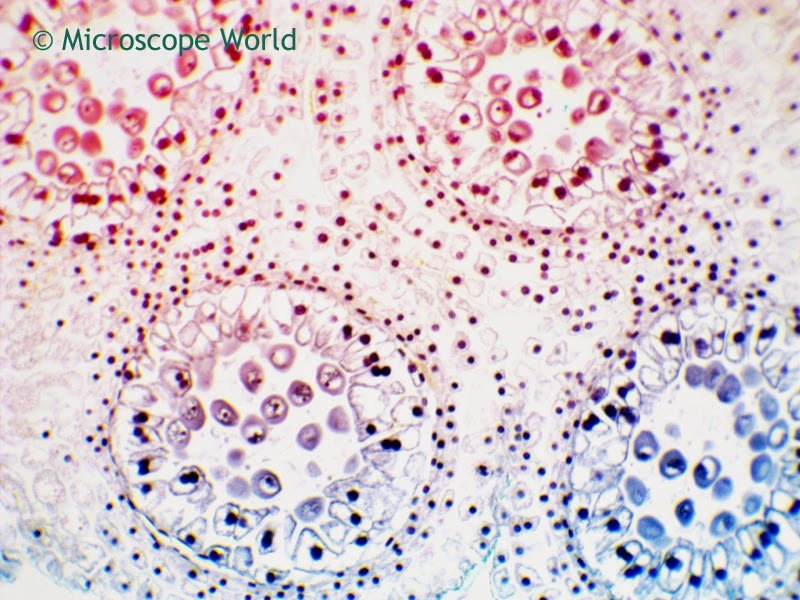 Lilium captured at 100x under the microscope. Lilium captured at 400x under the microscope.